Apple first added the ability to scan an iTunes gift card via camera on the Mac with a software update released earlier this year. Now, the same functionality will come to iOS devices, as discovered in the first iOS 7 beta by tech enthusiast Beau Giles. Users can take advantage of the feature by launching the App Store or iTunes Store on their iPhone and tapping the "Redeem" button. 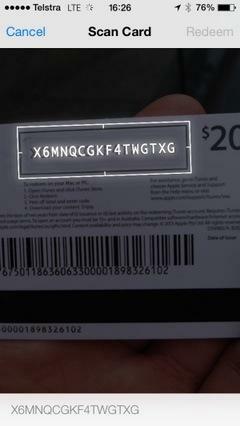 In iOS 7, the preferred method of redeeming an iTunes gift card is by using the iPhone's camera, though users can still enter the code manually if they so choose. 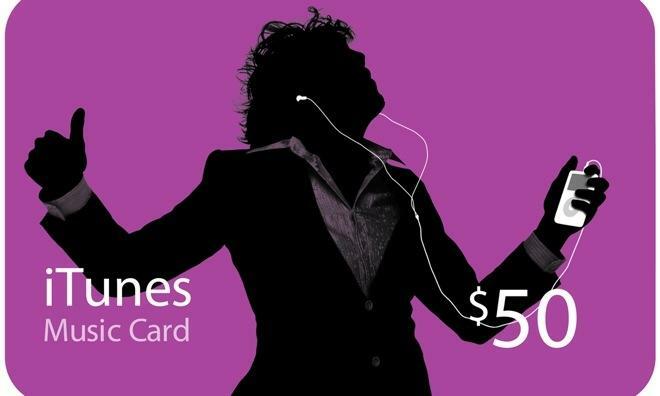 Scanning an iTunes gift card in iOS 7. Photo via Beau Giles. Before switching to the camera, Apple lets iOS 7 beta testers know that the method requires a gift card with a box around the code. Presumably Apple plans to add a picture to aid users, as the software currently references an image that is not yet displayed on the page. Once tapping the "Use Camera" link, the iPhone's rear camera is activated in portrait mode, and the system automatically searches for and scans an iTunes gift card code. iOS is currently available to members of Apple's developer community in beta form for testing purposes. It is scheduled to be released to the public this fall.